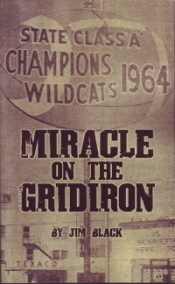 At long last, the story behind one of the most memorable chapters in Texas high school football history: The 1964 Class A State Champion Archer City Wildcats. An enthralling account from the team’s humble beginnings to its improbable march through the playoffs. It’s all here—the blood, sweat, and tears; the hardships, sacrifices, and triumphs; and the far-reaching effects of their miracle season on the team and its town. Based on true events, Miracle on the Gridiron is sure to appeal to anyone who roots for the underdog.